It is a man-made mountain resort. It is located above the town of Sagbayan. There are plenty of steps to climb, but once you get to the top, the 360° perspective view will be so rewarding! You can take some pretty good photos in here as Carmen Chocolate hills and distant blue sea are visible from here. Don’t forget to shoot some of the cartoon statues in here (not only for children) and eat at the restaurant. 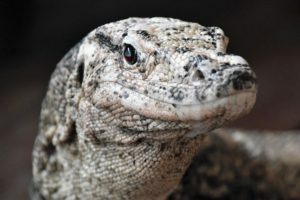 This is a must see as Carmen hills are unique and you can’t find them anywhere else in the world. There are at least 1,268 hills of 30 to 120 metres high spread over an area of around 50 square kilometres. 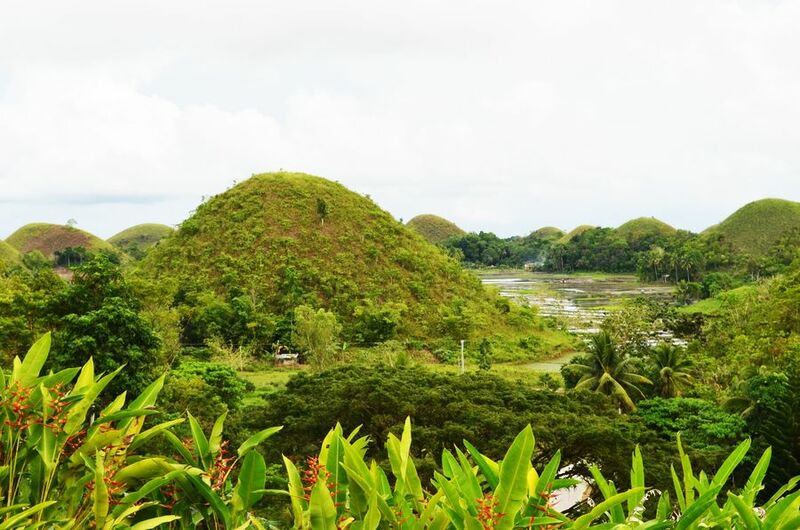 The names Chocolate hills was given to the hills because of the grey colour they have in dry season which looks like as if they were made of chocolate. Otherwise, not in dry season, the hills are covered with grass which is when I took the photos. 2 kilometres of densely planted Mahogany trees. 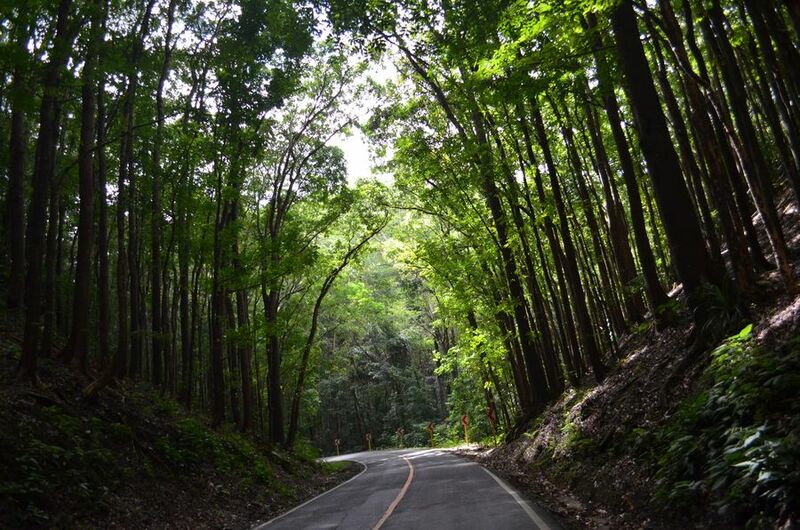 It is the first and the only man-made forest in the Philippines. 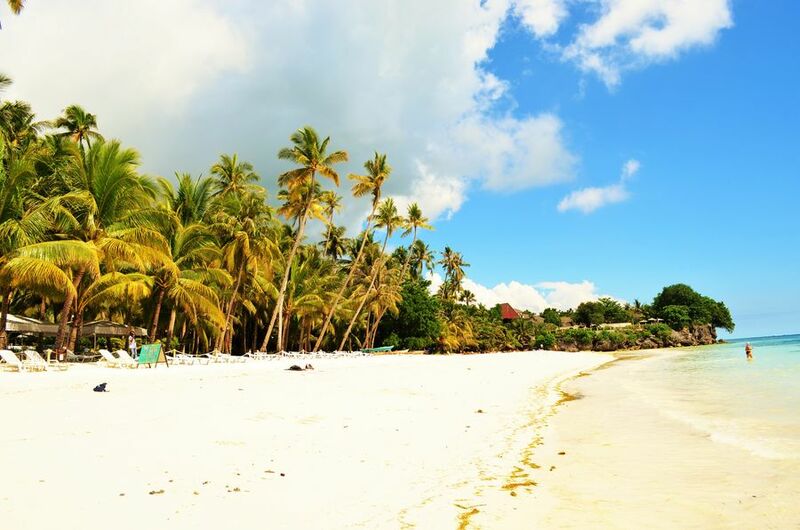 Something sweet and cool to add to your Bohol itinerary. 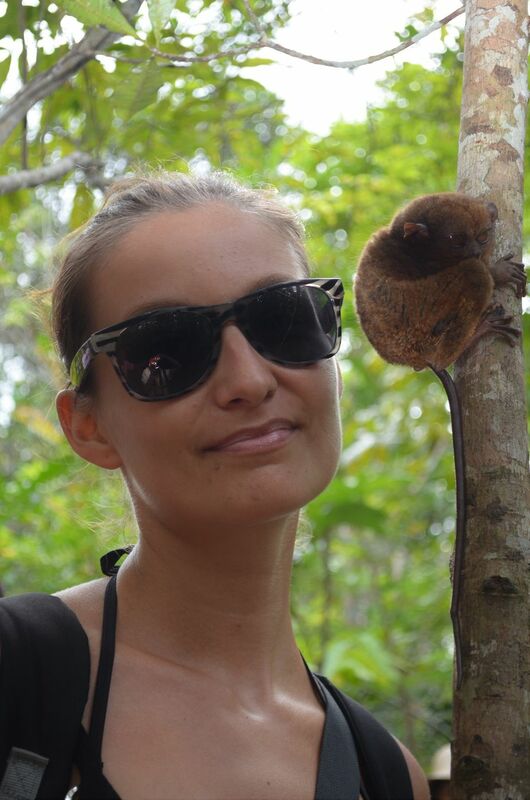 Tarsiers are the smallest primates in the world and visit their sanctuary is something you will never forget even though the tour takes less than 30 minutes. 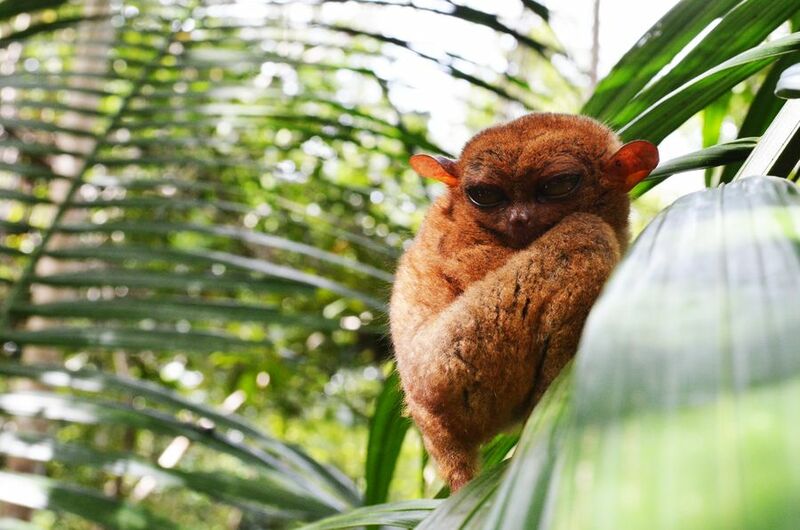 The tarsiers, nocturnal animals, weigh maximum 150 grams and their tails are around230 mm long. 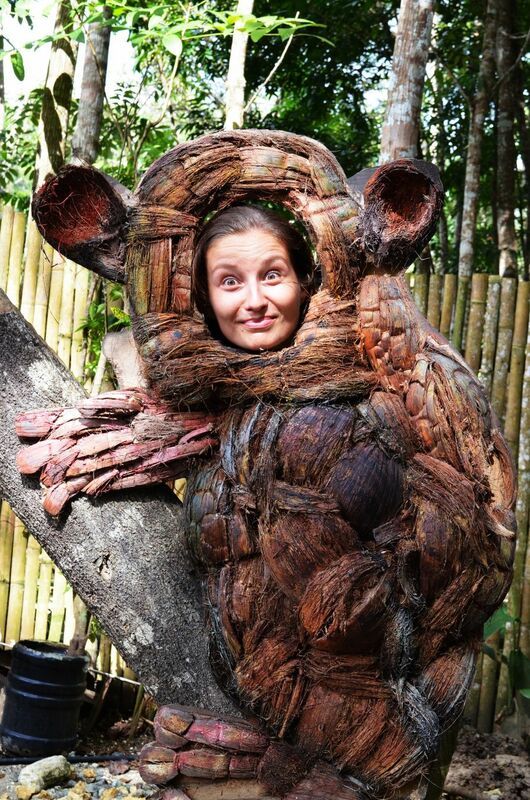 The main characteristic of tarsiers are big brown eyes and they can rotate their head 180° in each direction. Cuties! They have the biggest python in captivity ever known. Prony, the famous python, is 23 feet and 300 kilograms. 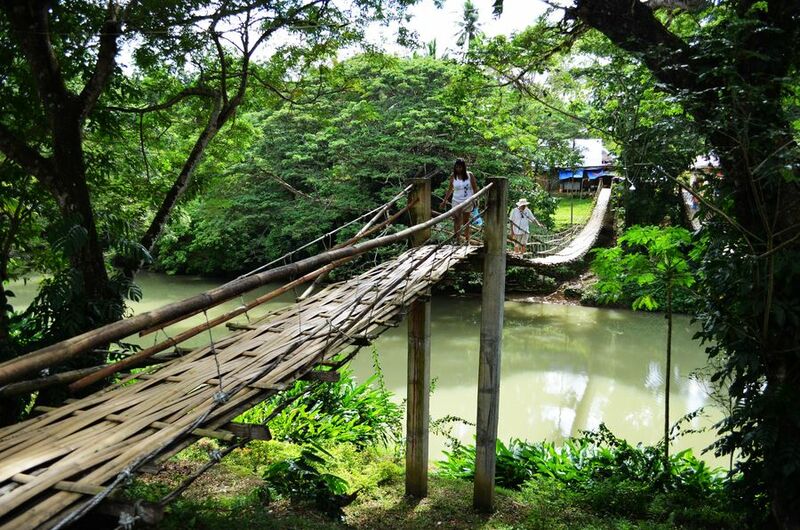 Bamboo bridge in the upper part of the Loboc river. It is considered as one of the most dangerous hanging bridges in the world, as Dir journal stated. A very famous river from a couple of Filipino movies. But I think it is overpriced. 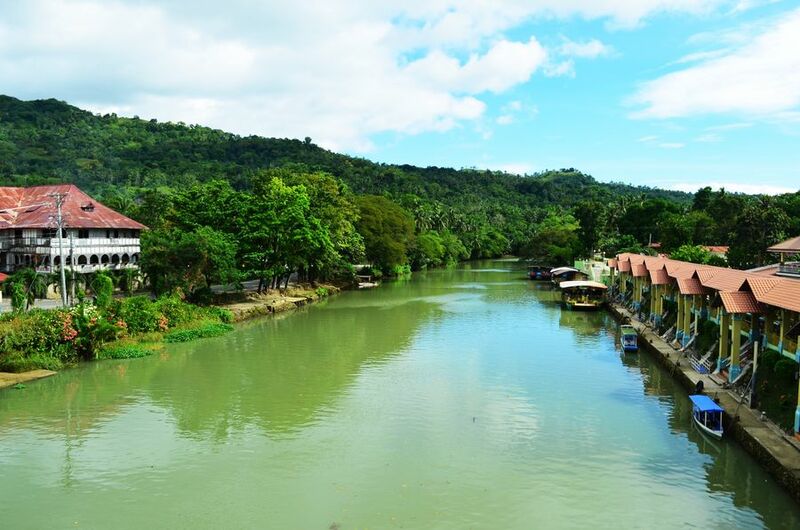 But the cruises on Loboc river or floating restaurants with live music are very famous in Bohol. Yoi can swim in the river, watch local children playing or even visit Busay Falls. 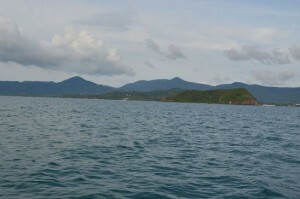 The cruise offers scenic views of the forest around. 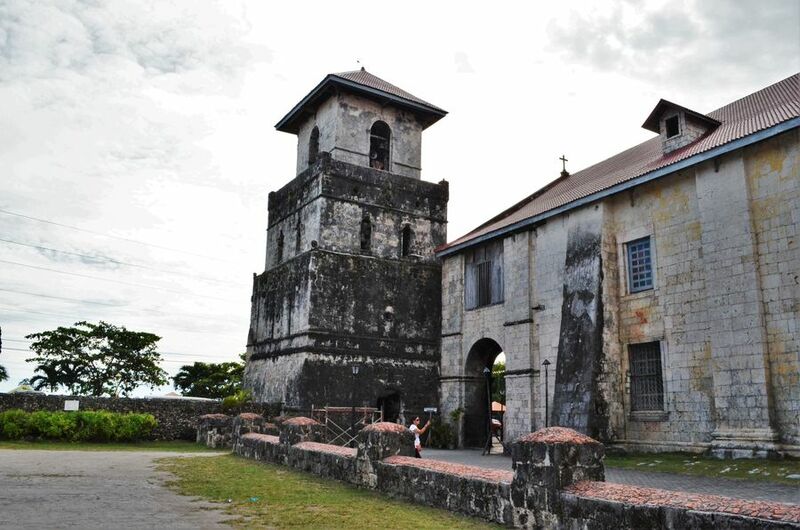 Church of San Pedro is the second oldest church in the Philippines. It was originally built in 1602, then put on fire and rebuilt in 1638. Since then the church survived a lot of floods. 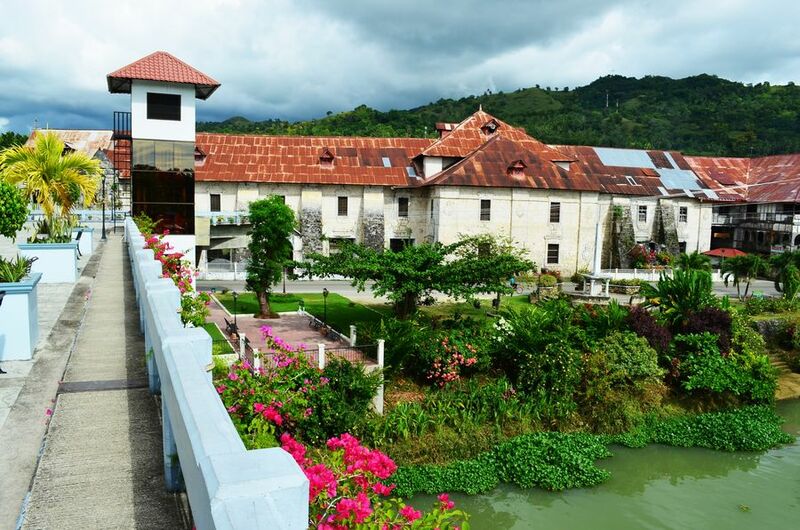 You have to take a bridge to cross Loboc River to the other side to get to Loboc church. It is huge and gives the place a bit of a mystery. 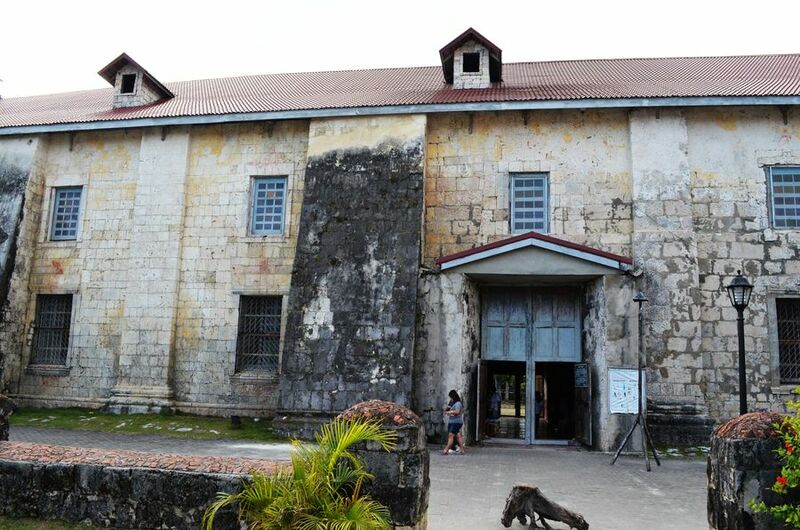 The Loboc Museum is situated on the third floor of the church. 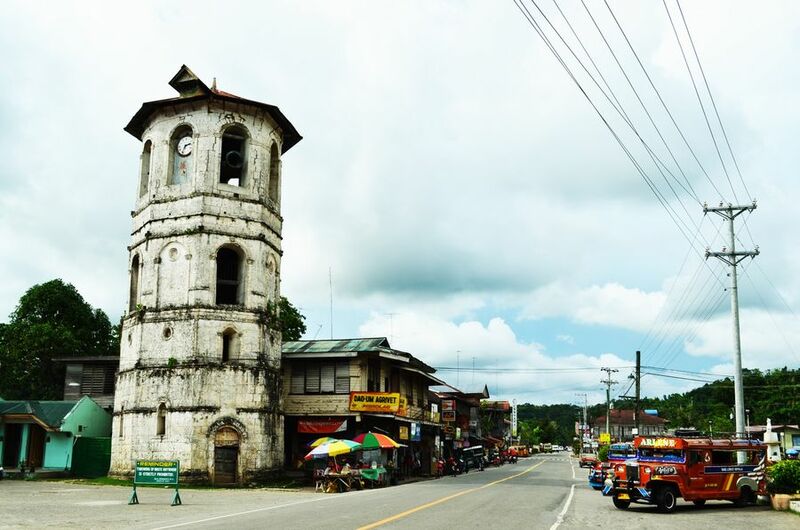 One hundred meters from the church you can find Loboc bell tower. 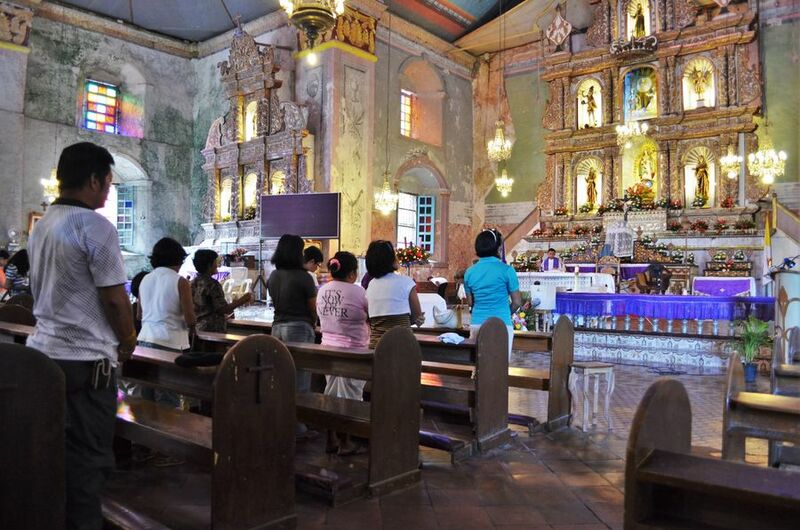 Located 6 km from Tagbilaran City is known also with the name of The Church of Our Lady of the Immaculate Concepcion. Its construction began in 1595 and what we can see nowadays was finished in 1727. 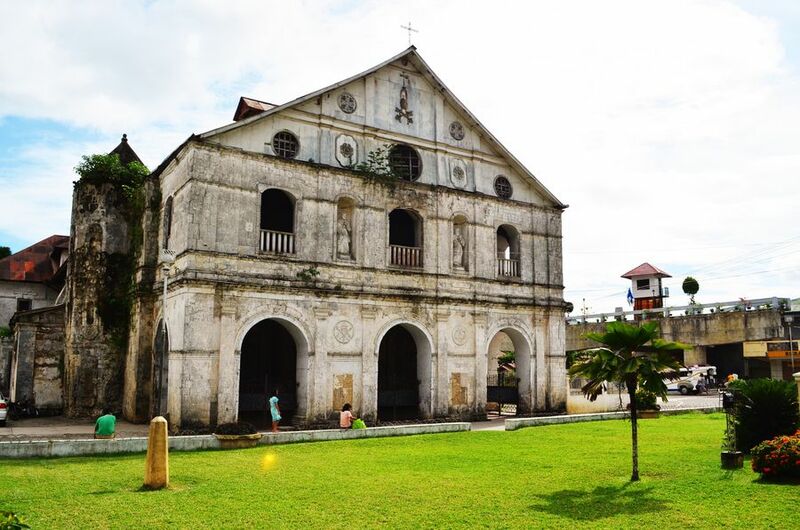 It is considered to be one of the oldest churches in the Philippines and one of the best preserved Jesuit-built churches in the region. 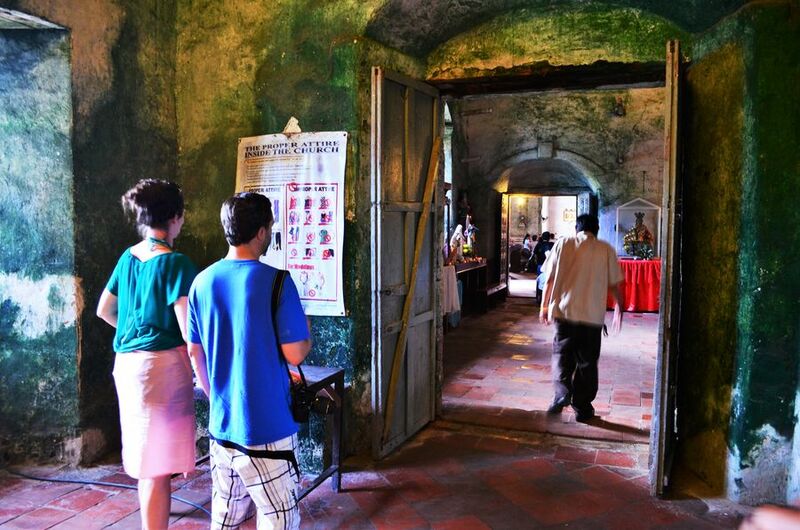 There is an old convent with a small museum next to the church. 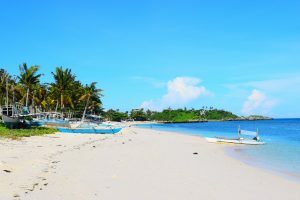 Situated at Barangal Bool in Tagbilaran City. 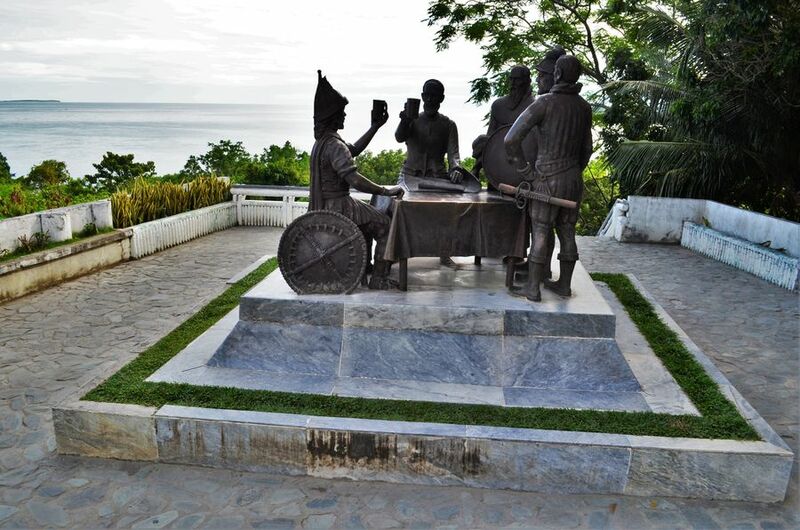 The place is considered as the first Treaty of friendship between Asia and Europe where in 1565 Miguel de Legazpi and Datu Sikatuna forged blodd compact. 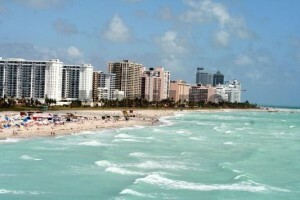 The event is commonly known as Sandugo. 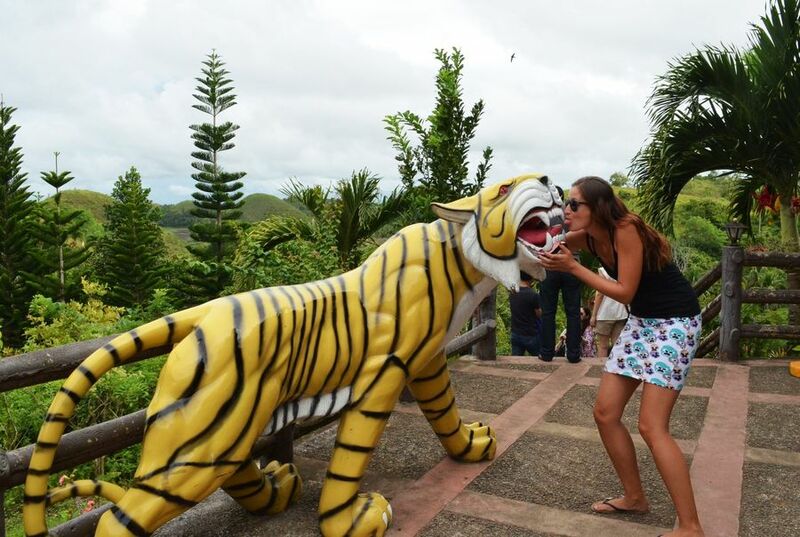 The sculpture located now here was made by Napolean Abueva, an artist from Bohol. Two of the life-sized statues are Legazpi with Sikatuna making a toast. 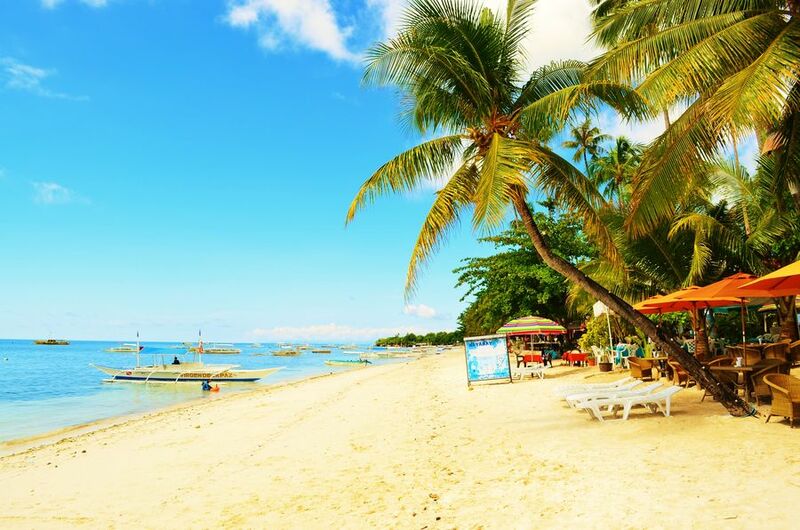 There are a couple of amazing beaches and me, as a well-known beach bum, I can recommend you Doljo beach for snorkeling, then Alona beach for touristy things, Dumaluan beach for some peace an quiet, swimming and good food with locals or extremely expensive and luxury Bohol Beach Club. Both Alona and Dumaluan beach made it to my 24 favorite beaches of 2011.
the cheapest way to get around Bohol is to take local transport – jeepneys but remember there are usually no timetables so if your time is limited and you want to visit as many places as possible, this would not be the best thing to do as sometimes you could wait for hours waiting for the next jeepney to pass. probably the best way to get around Bohol is to hire a motorbike with a driver. Don’t forget to bargain the prices, you could even get to half of the price they first asked for. 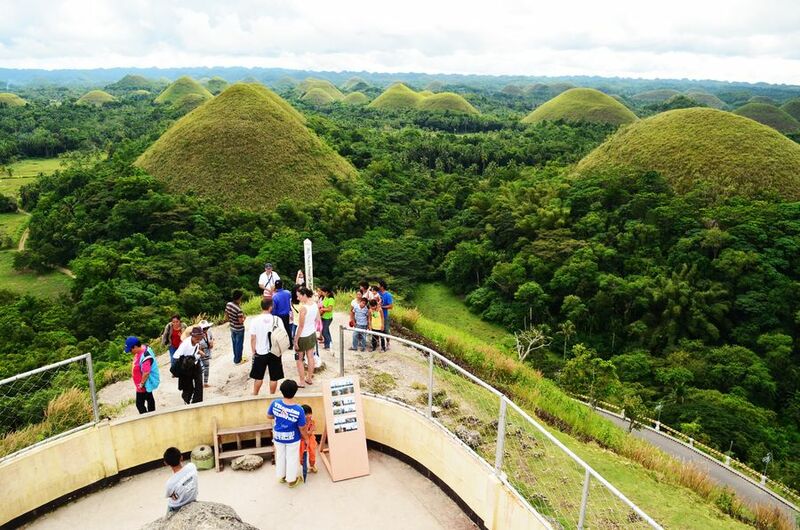 there are entrance fees almost everywhere (from 10 to 50 Php usually): e.g. Sagbayan Peak 10 Php, Carmen Chocolate Hills 50 Php. 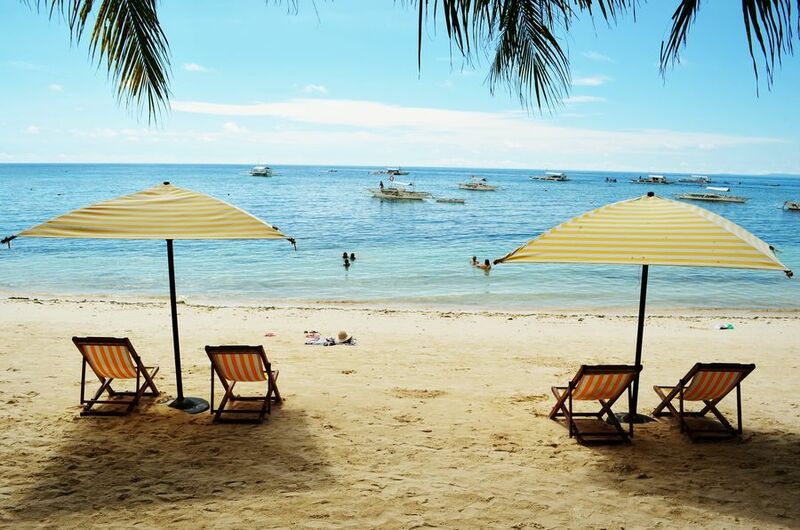 if you don’t like full touristy beaches and high prices, visit Dumaluan beach instead of Alona beach. if you are in Tagbilaran City and you need wifi, there is free no password wifi in Jollibee. I am amazed by your beautiful and realistic pictures on the website, the chocolate hills look fantastic! HEY me too! End of May for me. You? Hi! Thank you for posting this! 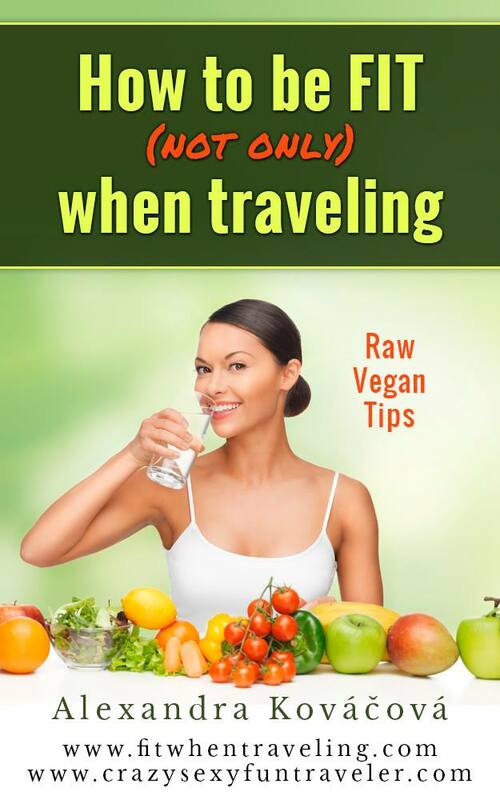 This is very helpful as we plan to go visit bohol. 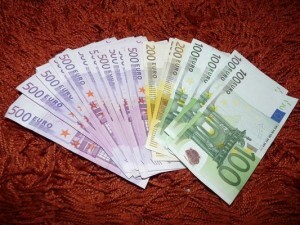 I love the tips!! 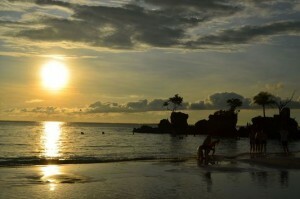 Just wondering if traveling to bohol is kid friendly? 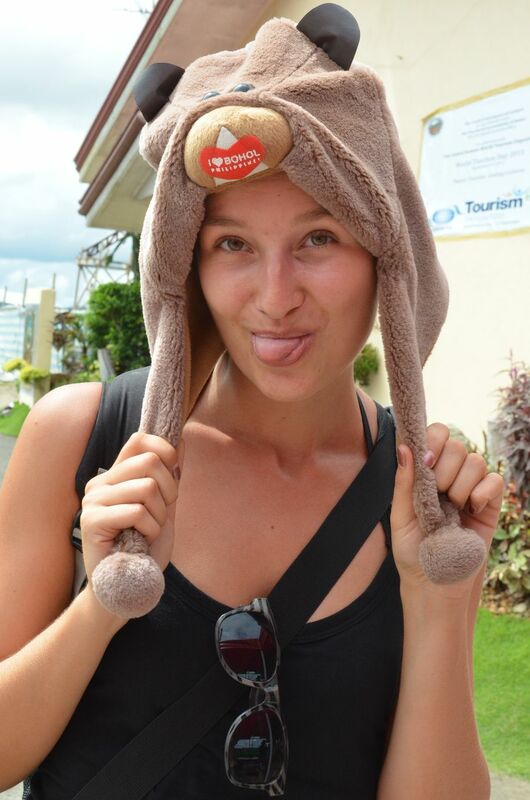 And also are there any vans for hire to take you around bohol? Thank you and looking forward to your response ? There must be some vans, I am sure 🙂 Kids are no problem 😉 Have fun! 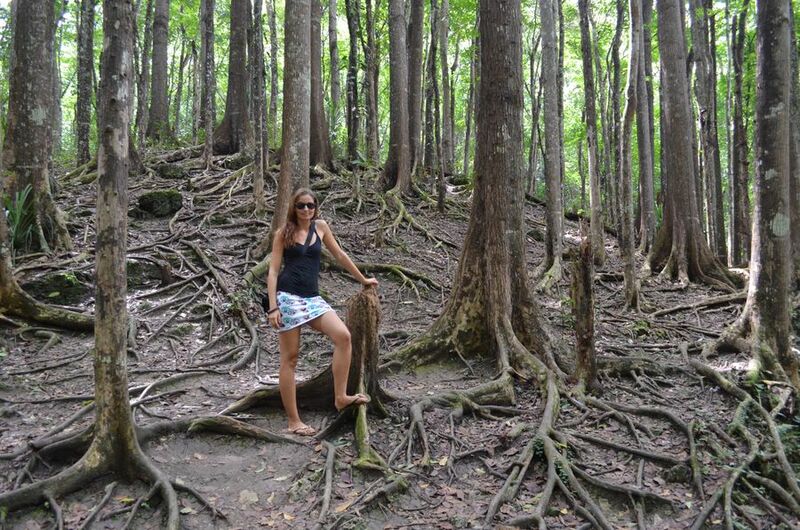 I have never been to Bohol, but plan on going after reading your blog! Wish I could help you Rencie but never stayed there for the night. But I’m sure you will find a nice place. 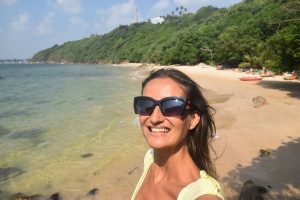 Nice post Alexandra, I’ve been recently to Bohol as well, it’s really a wonderful place. 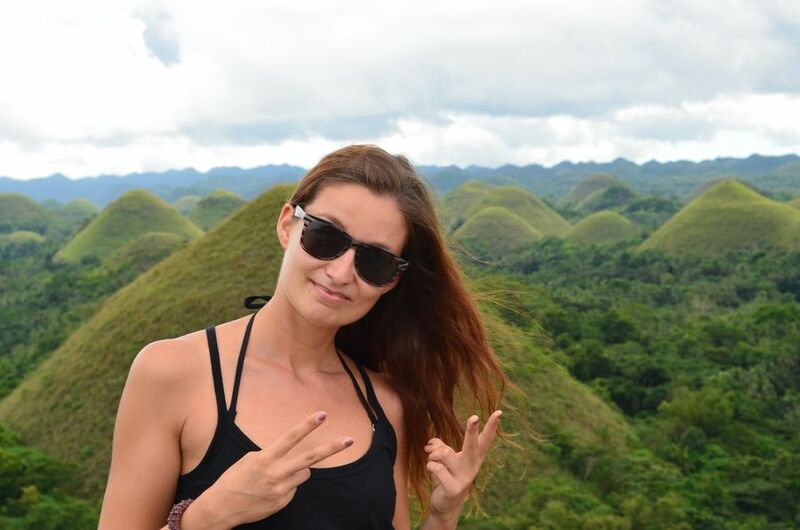 Should I stay in a hotel in the city centre or more close to the Chocolate hills? Hi thanks for all those feeds. it helps a lot. 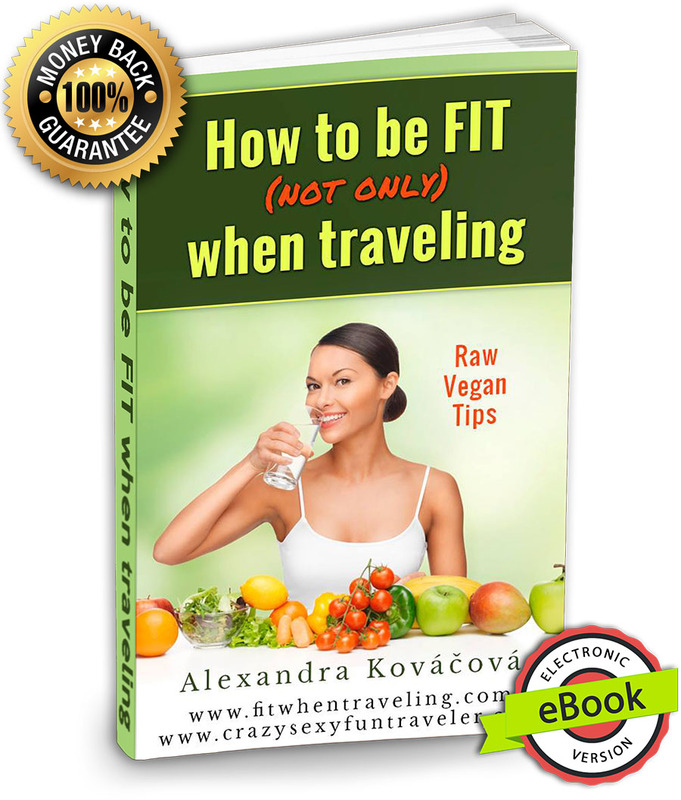 but which one would you recommend since we have a very tight schedule , we just have 2 nights and 3 days. 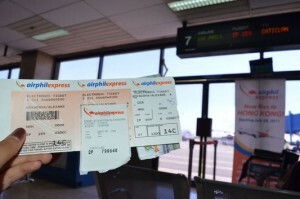 going to Boracay, Palawan or Bohol. we are not into snorkling or anything like that. 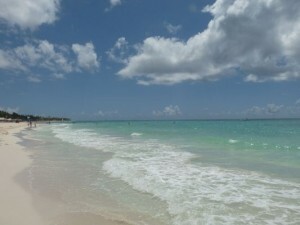 all i want is just to be in a beach and sightseeing and food trip. All the 3 places are great for 3 days 🙂 They are all very different though. Although, I’d stay longer in each one than just 3 days.